Wrapping up its tenure at the orbiting lab, HTV-6 is taking out the trash as it heads for a week-long free flight dedicated to an innovative technical demonstration that aims to collect data for a future space debris removal system. The HTV-6 spacecraft, loaded with six metric tons of cargo for ISS, blasted off from Japan atop an H-IIB rocket on December 9, 2016 and arrived at the Station four days later following a series of orbit-raising maneuvers. Bolted to the Earth-facing side of the Station’s Harmony module, HTV-6 was declared open for business on December 13 when the crew opened up the vehicle’s hatch to gain access to four tons of cargo delivered inside the Pressurized Logistics Carrier of the vehicle. Operating its sixth mission since the vehicle’s debut in 2009, HTV takes a special role in the Station’s cargo architecture since it is currently the largest in the visiting vehicle fleet and the only vehicle capable of carrying large external payloads to ISS. SpaceX’s Dragon can lift external payloads, although of smaller size and mass, hosted inside the spacecraft’s trunk. HTV’s external cargo capability is being used over the next three years to carry new batteries to the International Space Station to replace aging batteries, most of which have been in use since being launched with the Station’s truss segments. 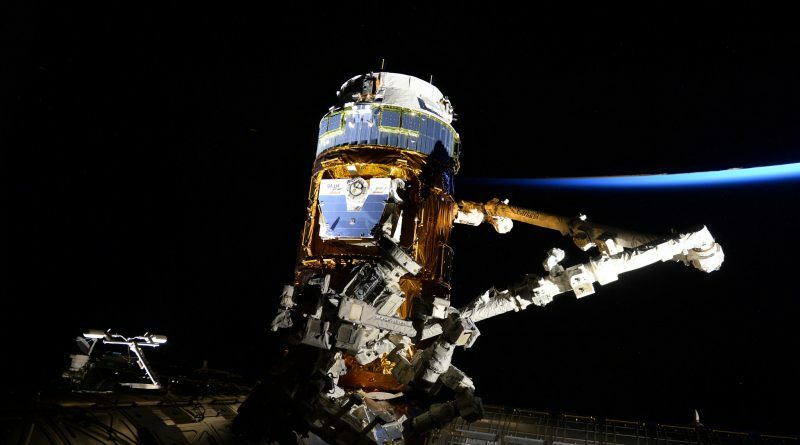 The HTV-6 mission was the first battery mission carried out by the HTV and served as somewhat of a proving ground for what is considered the most complex external maintenance ever carried out on ISS as a concerted effort by the Station’s robots and spacewalking crew members. 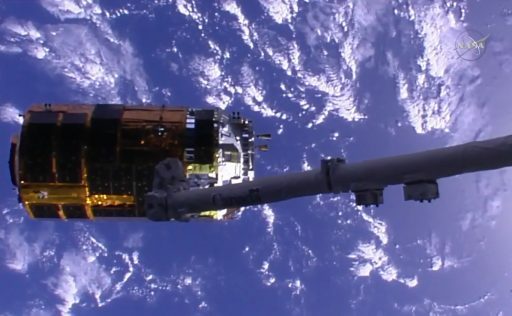 With six new batteries flown up by HTV, the Station’s robotic duo – the 17-meter long Canadarm2 and two-armed Dextre Robot – were in action for nearly three weeks. 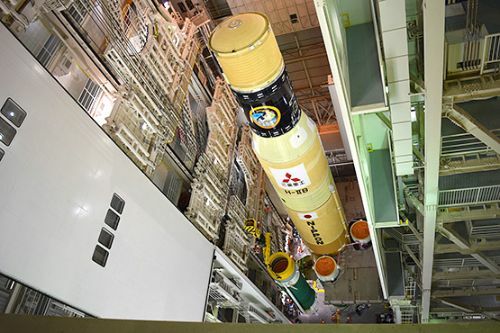 The ground-controlled robots were in charge of the heavy lifting – replacing aging Nickel-Hydrogen batteries on the S4 Truss Segment with new high-capacity Lithium-Ion batteries. Executing a pair of EVAs earlier this month, the Station’s crew members chimed in with tasks the robots could not complete such as bolting down adapter plates and connecting cables to integrate the new batteries. All in all – aside from the usual struggle with the occasional stubborn bolt – the three-week replacement effort was a full success and ISS now has two of its eight power channels driven by new Li-Ion batteries. 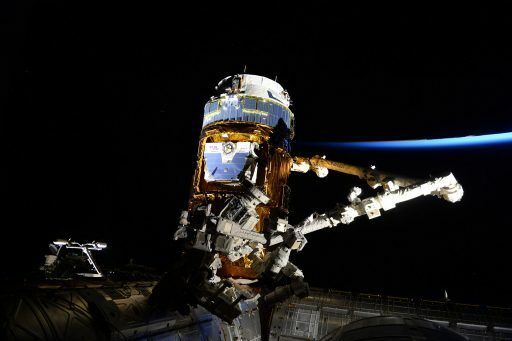 Given the higher capacity of the new battery units, 12 of the old Ni-H units were replaced with six Li-Ion batteries; nine of the discarded batteries placed aboard the Unpressurized Logistics Carrier for disposal at the end of the HTV mission. 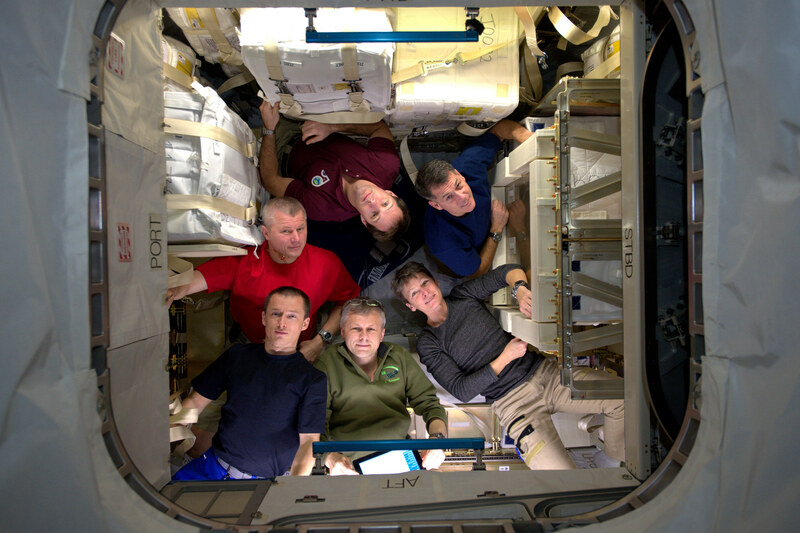 While busy robotics work was ongoing outside, the crew members inside the Station were equally busy moving delivered cargo over to the Station side and filling the HTV up with trash and no-longer needed items for disposal. 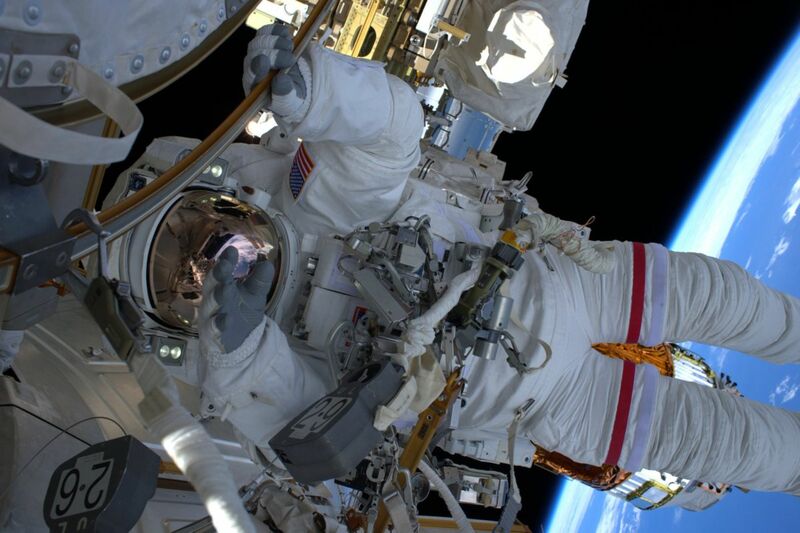 The internal cargo delivered by HTV-6 was comprised of the typical mix of crew supplies including food & consumables (1,264kg), 30 bags holding 600 liters of water, maintenance equipment (663kg), computer equipment, Spacewalking hardware and cargo for the Russian crew. Also onboard were a number of science payloads (420kg) including a series of CubeSats, six of which were deployed from ISS last week. 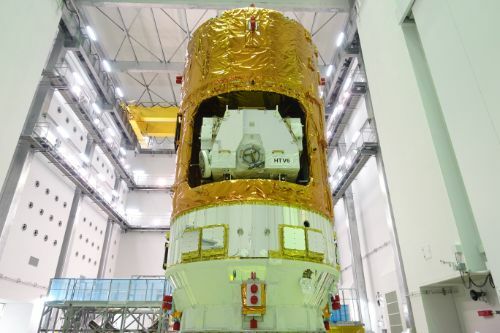 Among the utilization cargo on the HTV was a new 4K and HD Camera System will take up residence on the Kibo Module’s exposed facility to assist in Earth Observation and Commercial Imaging from the Space Station, possible at a ground resolution of 15 meters. Notable experiments delivered by HTV-6 include a Two-Phase Flow Experiment that aims to study the dynamics of the phase change between liquid and gas in a working fluid to inform the design of future thermal regulation systems for spacecraft. A new type of radiation detector delivered by HTV-6 will be tested as a potential real-time monitor for the radiation dose encountered by astronauts in space. Approaching the end of its stay aboard the Space Station, HTV-6 was buttoned up by the USOS crew on Thursday after final disposal items were placed inside. The crew worked through vestibule outfitting, closing HTV’s hatch, removing power and data jumpers and installing four Control Panel Assemblies that are responsible for driving the bolts holding the spacecraft in place at Harmony. The last power jumper remained in place until Friday morning when HTV-6 was switched to internal power and the crew removed that final jumper to enable them to close the Harmony hatch for the prescribed leak check that confirmed both hatches were air tight. Unberthing was confirmed just after 11 UTC when four sets of four bolts were released to demate the cargo vehicle from the Station, giving Canadarm2 full control over the vehicle. ROBO Controllers on the ground then went through a little over an hour of maneuvering to put the arm through a series of motions to position the HTV craft for release. HTV Mission Control completed the necessary reconfigurations for the craft’s departure and, inside the Station, Expedition 50 Commander Shane Kimbrough and ESA Astronaut Thomas Pesquet took their places in the Cupola to configure the robotics workstation. After final polling, Mission Control radioed a GO to the crew members who then put the release sequence into motion at their own pace. 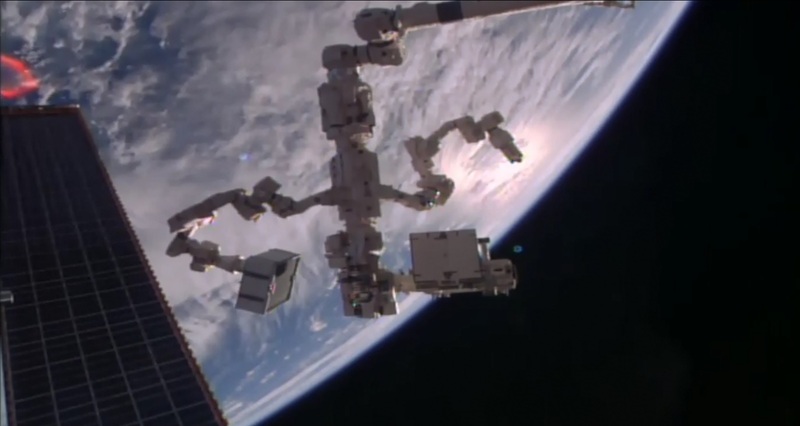 Snares within the Latching End Effector of the Canadarm were opened and release was confirmed at 15:46 UTC while the Station was flying 400 Kilometers above the South Atlantic Ocean. 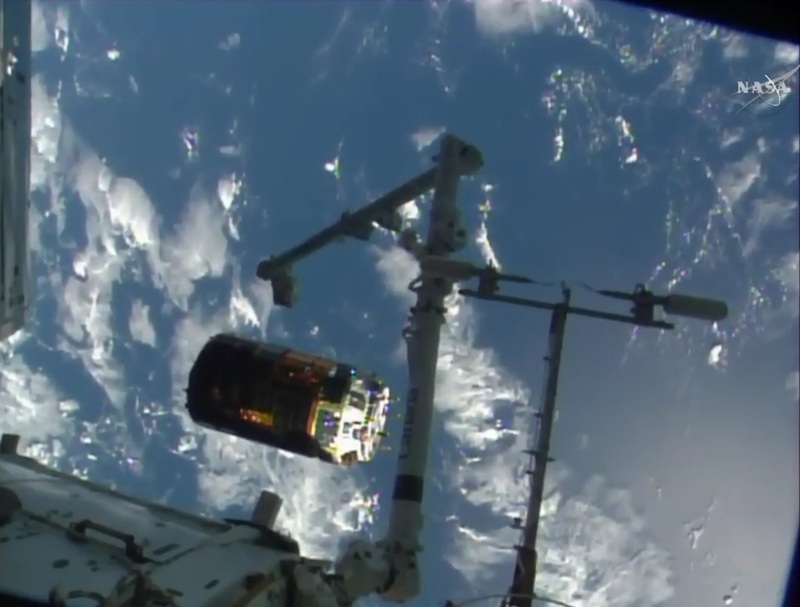 Per the usual procedure, orbital mechanics took care of slowly moving HTV to the nadir, so that the arm could clear the grappling pin without disturbing the spacecraft ahead of moving away to a safe parking position. HTV re-enabled its thrusters and pulsed its engines for two seconds five minutes after release, initiating a small opening rate of just 0.04 meters per second, drifting away along the R-Bar. A second, slightly larger departure burn, occurred ten minutes later to speed up the craft’s departure of the Keep Out Sphere. With HTV-6 on its way to depart the Approach Ellipsoid, NASA involvement in the mission ended and the Tsukuba Control Center was back in full control of the flight. HTV-6 is expected to enter an independent orbit around 20 Kilometers below ISS by Friday night to begin a week-long free flight dedicated to the HTV-KITE Experiment. A 700-meter long electrodynamic tether is planned to be deployed from the HTV to test whether thrust generated by a charged tether in the presence of Earth’s magnetic field could be a viable method for the removal of space debris from orbit. 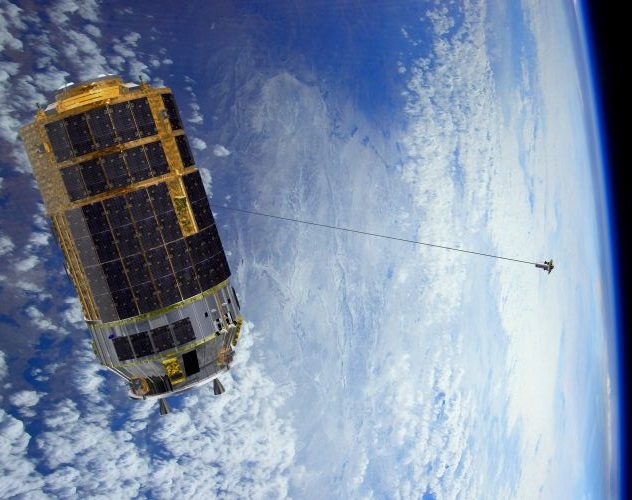 Over the course of one week, HTV will go through different experiments with the tether to measure the electromotive force generated by the tether in various modes and spacecraft configurations to assess whether tethers are capable of removing sizeable pieces of debris from orbit using a mostly passive method. 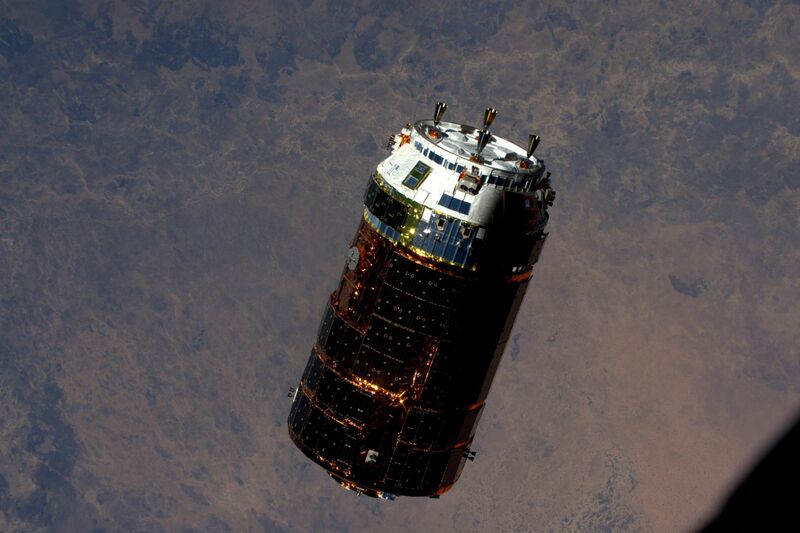 When the KITE experiment is complete, HTV-6 will complete a targeted deorbit maneuver on February 5, aiming for a remote corridor of the Pacific Ocean where the spacecraft will re-enter the atmosphere and surviving debris will impact, bringing an end to a very successful cargo mission to the Space Station.